Warren Players is proud to present "Irving Berlin's White Christmas the Musical" November 19, 20, 21 @ 7:00 pm and November 22 @ 2:00 pm -- Kick off your Holiday Season with this spectacular, festive, feel-good musical based on the much loved movie classic! A little mischief, a few misunderstandings, and a whole lot of romance are the perfect excuse for a magical evening of laughter. tears, breathtaking dance numbers and some of the greatest songs ever written, including Sisters, Blue Skies, I Love a Piano, Count Your Blessings, and of course, the biggest-selling Christmas song of all time, the legendary White Christmas. Step back in time with World War II soldiers Bob Wallace and Phil Davis, better known as the famous song and dance team Wallace and Davis, (played by Kevin Hunt And Logan Beard) as they team up with an up-and-coming "Sister Act" of Betty and Judy Haynes (played by Kira Spencer and Laura Sears-Baldensperger.) Phil has always been trying to find a love interest for Bob and tricks him into following the sisters to Vermont to perform in a Christmas show. Imagine their surprise when they learn their old commanding officer, General Henry Waverly, (Played by Gary Brumagin) is the owner. He has sunk his savings and pension into the Inn, is on the verge of bankruptcy, and could use a little boost as well as "snow:' The foursome along with Inn staff member, Martha Watson (played by Paula Roney), comes up with a plan to help the General. This not to be missed show is led by director Molly Dies, production manager Kirsten Darling, and vocal director Joy McMonigal, along with choreographers Linda Dies, Laura Sears-Baldensperger, Carly Smith, and Molly Dies from our local Linda Dies' Dance Unlimited studio. The incredible Warren Players cast of 52 is sure to get your feet tapping and have you leaving the Struthers Library Theatre with a song (or two) in your heart, a lift to your spirit, and, of course, that special Christmas feeling! Tickets for "Irving Berlin's White Christmas the Musical" can be obtained online at the Struthers Library Theatre's website: strutherslibrarytheatre.com or during weekdays l0 am to 5 pm by calling 814-723-7231 or visiting the theatre's offices at 302 West Third Avenue, Warren, PA. Prices are $14 adults, $12 seniors and students. 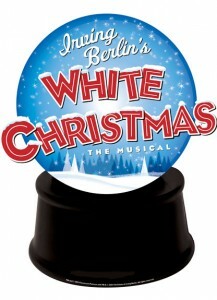 "Irving Berlin's White Christmas" is based upon the Paramount Pictures Film written for the screen by Norma Krasna, Norman Panama and Melvin Frank and is presented through special arrangement with R & H Theatricals: www.rnh.com. Music and lyrics by Irving Berlin Book by David Ives and Paul Blake. Original stage production directed by Walter Bobbie, Orchestrations Larry Blank, Vocal and Dance Arrangements by Bruce Pomahac.